I AmandaJean have never watched an episode of Mad Men and my life is just fine. The April Sample choice sneak peek was loaded with hair products and not one, but two Guest Editor curated boxes. 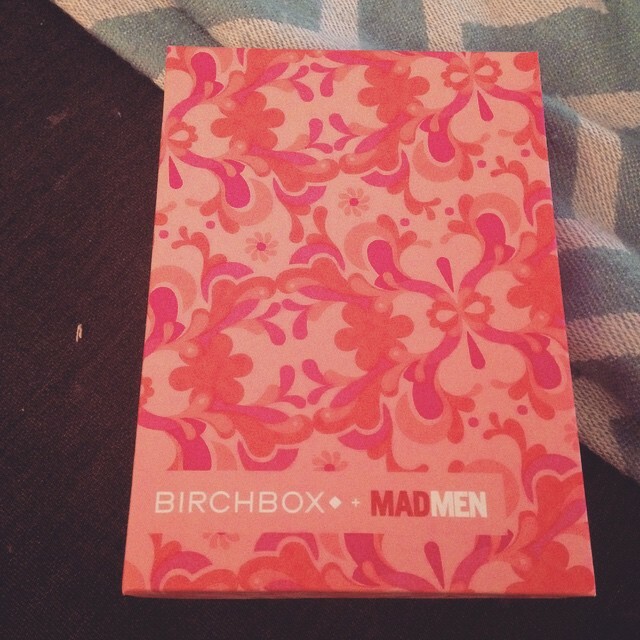 BirchBox partnered with Mad Men to bring us a NY box and an LA Box. As soon as I saw that the LA box included a Not Soap Radio product, I knew I needed it in my life. So I waited for that gosh darn sample choice email to come and made my selection, to turn around and wait for it to arrive. Stalking tracking codes has become my new life hobby, its fun yet very very frustrating. ————————-> Clean, so clean. I am really liking the scent of this. It is not over powering, it is very crisp and fresh. —————–> This is a great pale pink color for summer. I am going to use this one a lot and I like that it does not have a greasy texture like most pencils do. ——————-> Infused with: energizing, confidence boosting Royal Jelly extract. Royal Jelly kick up energy level and the will to succeed. It also has anti-aging properties that will keep skin smooth, supple, soft. I am in love with this scent. To be honest I haven’t met a Not Soap, Radio product that I haven’t loved. Go on get yourself some confidence in a bottle. Bonus if you are landlocked like I am, this will turn your shower into the beach. It smells just like a beach day! I am pretty impressed with the Mad Men inspired box, no I am not going to run out and binge watch the show. I mainly chose the box because it included a Not Soap, Radio product, the rest of my samples were like a bonus to me. I hope all of you loved your boxes too!